Heel height about 2.16", lace up closure. 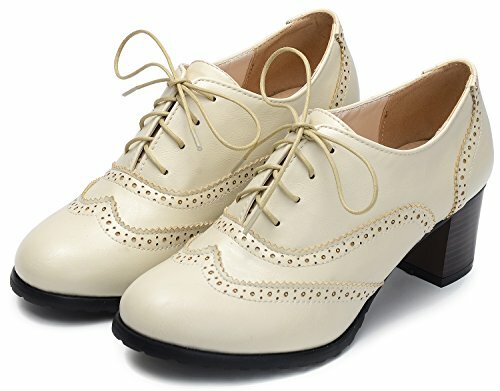 Classic brogue style, hollow out design, suitable for casual life, school time, shopping moment. Size: True to size. Choose half size larger for wide feet.